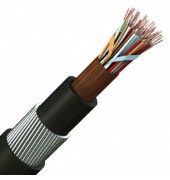 Used for external connection of telephone systems and other communications equipment where the mechanical protection is needed. This cable is suited for direct burial. The outer sheath is made from tough, durable polyethylene or external grade PVC that is UV and sunlight resistant. The cores are bedded in petroleum jelly as a protection against moisture. 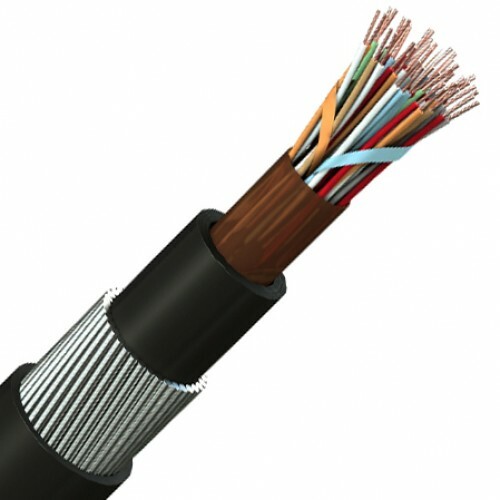 Solid plain copper conductor, coloured core identification of polyethylene insulation, petroleum jelly filled, separator tape, polyethylene bedding, galvanised steel wire armour and a black or grey polyethylene or external grade PVC sheath. Larger pair counts and screened or moisture barrier versions to CW1179 are also available.